Senior Enterprise Project Coordinator Paula Fitzsimons and Senior Entrepreneur Ambassador Áine Cuddihy (The Minicake Company) featured on RTE’s Morning Edition in Ireland. By raising awareness of the opportunities for over 50′s in Ireland to engage with enterprise, they promoted the Senior Enterprise Forum, which took place on the 14th & 15th of October in Trim, Co. Meath. Coverage of the Senior Enterprise Forum, which took place in Trim in October 2013, was featured on Morning Ireland, RTE Radio 1 (Wednesday 23rd October). Project Coordinator, Paula Fitzsimons explained the importance of Over 50′s engaging with enterprise. Minister for Jobs, Enterprise & Innovation Richard Bruton, who spoke at the Event, said that support for Seniors who are starting business is vital. 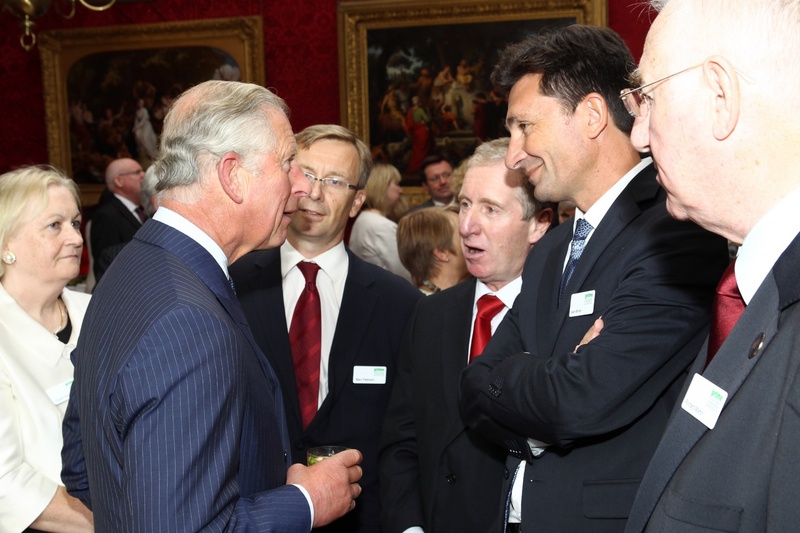 HRH Prince Charles was very interested to meet the Irish and French partners of Senior Enterprise, and to learn of the European support through the INTERREG IV B NWE Programme for the work of Senior Enterprise. HRH mentioned this specifically in his talk before he presented awards to the PRIME mentor of the year and to the PRIME volunteer of the year.